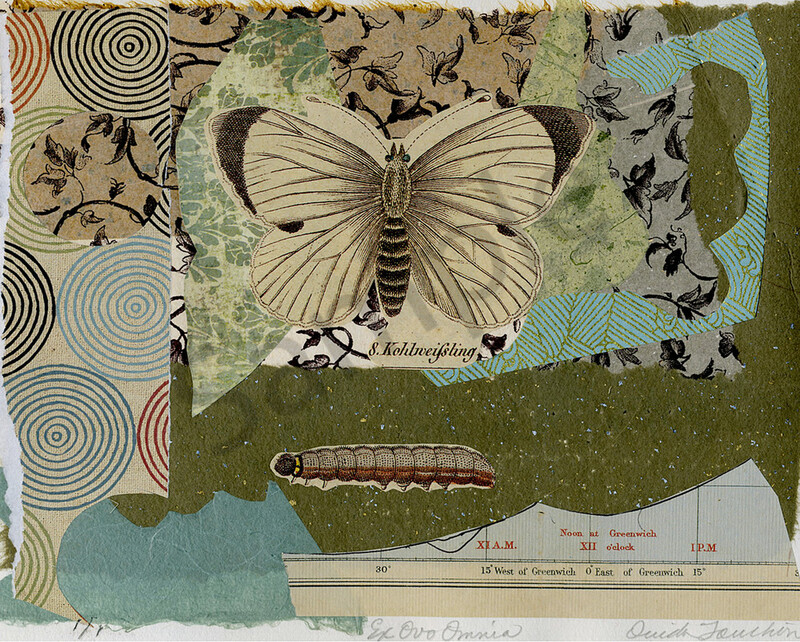 Another great one of a kind chine colle collage of a vintage butterfly by the artist. Map pieces, vintage paper fragments including the old lithographed butterfly, signature on the bottom.Available in several sizes and media. I find inspiration for my titles in books that I read. In this case it was Middlesex by Eugenides.